The McLaren family (John’s parents, Jack and Poppy) moved from Sydney to Nerstane, Woolbrook in the early 1960s following a desire for a change in lifestyle and occupation. They chose to re-settle in Woolbrook because of the rainfall. Jack and John spent several years (mainly in John’s school holidays) looking at potential properties. In his younger days, Jack had worked as a jackaroo at Portland Downs in Queensland for seven years and fell in love with the bush, sheep and country life. 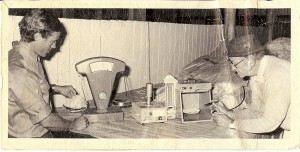 After that he worked in the timber industry throughout NSW for many years. Part of his work there included progeny testing of trees to establish which species would be best for which growing conditions. It was the success and precision of this progeny testing of trees that would later lead Jack to experiment in the progeny testing of rams. In 1965, Stud breeding commenced at Nerstane with the aim of producing sheep capable of the highest possible production under commercial conditions. 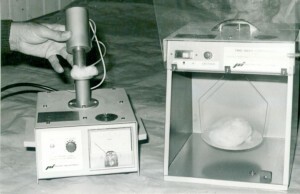 Progeny testing of rams was begun in 1967. Jack had a vision that he could put the beautiful New England wool on the large frame of the western sheep that had been purchased. So he set about proving that this was somehow possible and far more profitable. Through John attending many shows and following the type he liked, genetics were sourced from the famous Koonwarra stud from Crookwell, NSW. Nerstane then become a daughter stud of Koonwarra and remained so until 1987. 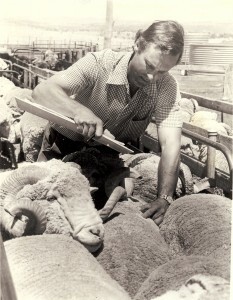 Jack then decided to utilise his extensive knowledge of the progeny testing of timber by applying it to merino sheep. 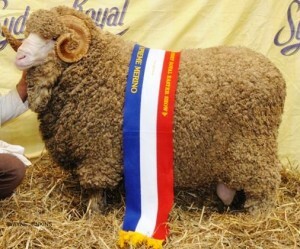 He knew (or hoped) that by doing this he would find rams that would better suit his breeding objective and achieve whiter, more waterproof wool on a larger percentage of the progeny. 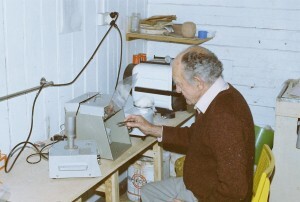 Jack received assistance from scientists including Arthur Rickards at the Agricultural Business Research Institute (ABRI) at the University of Armidale in the early 1970s to set up the first Nerstane index. From then on, every shearing would see Jack and John weighing, scoring and collecting wool samples at shearing time, Jack would then test and record every one of these samples in the months after. It certainly was an involved process. All the wool sample testing was conducted in a small weatherboard shed that is still next to the main house at Nerstane today. The greasy samples were painstakingly washed (20 at a time!) in the homestead laundry and later in an old dry cleaner purchased from Walcha Dry Cleaners. The scoured sample was carded and any grass seeds removed with tweezers, then weighed to exactly 2 grams which was placed in the sonic micron tester. On a humid day, this machine would have to be calibrated every 2 hours with a control sample from IWTO in Brussels. Additionally, every fleece was given a visual score over the table at shearing. This score was added to the overall index and it enabled those stylish, whiter wooled sheep to get a higher score, which then gave them a greater chance of being classed into the stud. 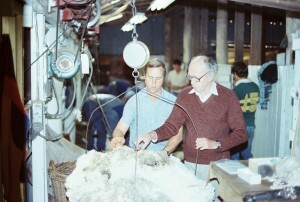 Jack and John fleece weighing hogget fleece in the early 1970sThe system that Jack and John devised was certainly groundbreaking at the time. Many of his contemporaries thought them quite mad. This score is still applied to this day and is one of the main reasons in our opinion (combined with the depth of breeding) that the tops to culls ratio in Nerstane merino flocks are so high. In order to obtain added value from the now established performance recording system, Nerstane commenced pedigree recording in 1990 and did our first embryo transfer program in 1992. Since then, we have not looked back! 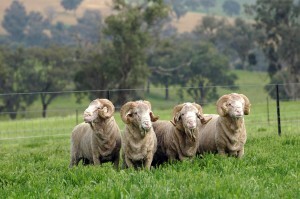 Currently the stud involves 2000 ewes which supply 300-400 rams to clients annually. 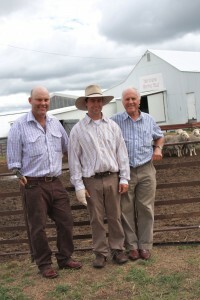 The stud is run today by John, and John’s two sons Hamish and Jock. The system that Jack and John McLaren created became the driving force of the Nerstane breeding enterprise. Emphasis continues to be placed on the relationship between clean wool production per head and fibre diameter (dollar value per head), fertility and easy care characteristics. This huge number of animals that have been recorded in the past and continue to be recorded will ensure that Nerstane will remain as a place to acquire superior genetics. These practices over more than 40 years have had a large impact on Nerstane’s overall results, in all the areas that we benchmark ourselves. The results speak for themselves here at Nerstane, in our clients’ flocks, and in many Central Test Sire Evaluation sites all over Australia. Nerstane is the most connected flock in the huge database of MERINOSELECT which is testament to the stud’s trusted performance and predictability. Please feel free to contact us to discuss your requirements or for more information. We look forward to talking to you.